The terrorists groups violated the truce North-East of Idlib province after attacking the besieged Shiite towns of Kafraya and Fua'a, local sources confirmed on Friday. 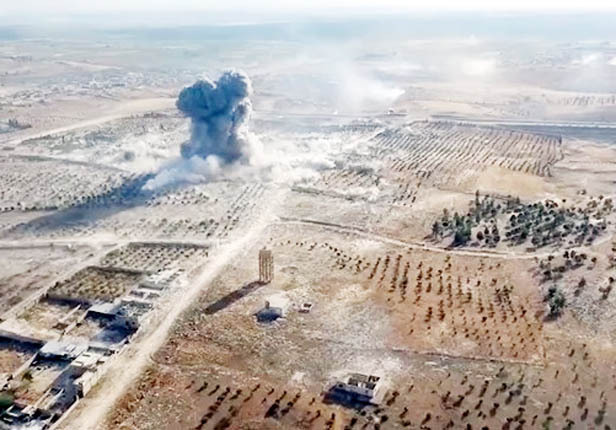 The sources said that the terrorist groups used a bomb-laden drone to strike residential neighborhoods and the only water tank in the besieged towns of Fua'a and Kafraya, violating the ceasefire. The militants deliberately attacked these sites to harass the civilians in the besieged areas, disregarding the truce that they agreed to last year. Relevant reports said on Sunday that the terrorists pounded the strongholds of the army men around the town of Atireh in Jabal (mount) Turkman and inflicted losses on the army, breaching the ceasefire agreement in the de-escalation zone. The army carried out retaliatory attacks and its artillery units shelled terrorists' positions in Heights 1101 and 1125 in Jabal Akrad in Northeastern Lattakia, imposing major casualties on them.